Emerging evidence indicates that combining Sorafenib with vitamin K1 (VK1) may result in a synergistic inhibition of hepatocellular carcinoma (HCC) cell migration and proliferation. Despite this synergy, its benefits may be limited due to drug resistance resulting from cross-talk with the tumor microenvironment. Insulin-like growth factor-1 (IGF1) signaling acts as an important modulator of HCC cell growth, motility and drug resistance. Therefore, we aimed to explore the effects of Sorafenib in combination with VK1 and/or IGF1-R antagonists on HCC cells. Scratch wound migration assays were performed to assess the motility of HCC-derived PLC/PRF/5, HLF and Hep3B cells. The synergistic, additive or antagonistic effects of Sorafenib, VK1 and IGF1-R antagonists on HCC cell motility were assessed using CompuSyn software. The effects mediated by these various compounds on HCC cytoskeleton organization were evaluated using DyLight 554 Phalloidin staining. Proliferation and migration-associated signaling pathways were analyzed in PLC/PRF/5 cells using Erk1/2 and Akt activation kits and Western blotting (Mek, JNK, Akt, Paxillin and p38), respectively. 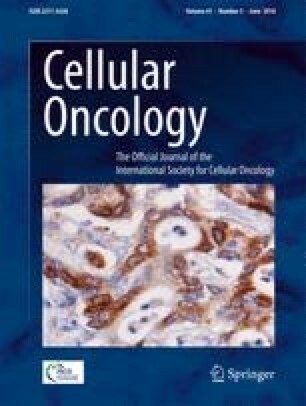 The effects of the IGF1-R antagonists GSK1838705A and OSI-906 on HCC cell migration inhibition after Sorafenib and/or VK1 administration, individually or in combination, were evaluated. We found a synergistic effect in PLC/PRF/5, HLF and Hep3B cells for combinations of fixed doses of GSK1838705A or OSI-906 together with different doses of Sorafenib and/or VK1. The levels of synergy were found to be stronger at higher Sorafenib and/or VK1 concentrations and lower or absent at lower concentrations, with some variation among the different cell lines tested. In addition, we found that in PLC/PRF/5 and HLF cells IGF1-R blockage strongly enhanced the reduction and redistribution of F-actin induced by Sorafenib and/or VK1 through alterations in the phosphorylation levels of some of the principal proteins involved in the MAPK signaling cascade, which is essential for cell migration. Our results indicate that modulation of the efficacy of Sorafenib through combinations with VK1 and/or IGF1-R antagonists results in synergistic inhibition of HCC cell migration. Rosalba D’Alessandro and Maria Grazia Refolo contributed equally to this work. The online version of this article ( https://doi.org/10.1007/s13402-018-0370-z) contains supplementary material, which is available to authorized users. This research was supported by the Italian Ministry of Public Health (n.11/2016). L. Gao, C. Shay, F. Lv, X. Wang, Y. Teng. Implications of FGF19 on sorafenib-mediated nitric oxide production in hepatocellular carcinoma cells - a short report. Cell. Oncol. 41, 85-91 (2018). https://doi.org/10.1007/s13402-017-0354-4.